British 2yo Racing - 2014 Race Result :- 567 : Sat, August 23rd - York 3:15, 6f Group 2 (C&G) (1), "Gimcrack Stakes"
York 3:15, 6f Group 2 (C&G) (1), "Gimcrack Stakes"
NR Aussie Ruler R. Harris 2 NR = Travel. Declared 11:02am. NR The Great War A. P. O'Brien 10 NR = Going. Declared 09:59am the Previous Day. SUMMARY GGF from GFG on Decs. SGtick Readings higher than previous Days at 7.2 Stands' Side & 7.3 Centre & Far Side. Sectional Times Comparison with the first figure that for Tiggy Wiggy & the second for Muharaar:- (Tiggy Wiggy on GStick AM 6.9 but 5mm Rain before Racing and with a 13mph 1/2 Tailwind. Muhaaraar on 7.2 GStick but with a 4mph mostly Headwind. This a slower Pace race with Jungle Cat allowed a reasonably comfortable lead and able to make some sort of extra effort around 2f out (only maintained the same 1f sectional time though) and 5th x 1f similar level to the previous 2. This race 0.27s faster than Tiggy Wiggy for the last 2f. Both races having slower time for each of the last 5 x 1fs is order. But TW's race slower by large chunks for each 1f whereas the 3rd to 5th x 1fs for Muharaar's race close to level pace. 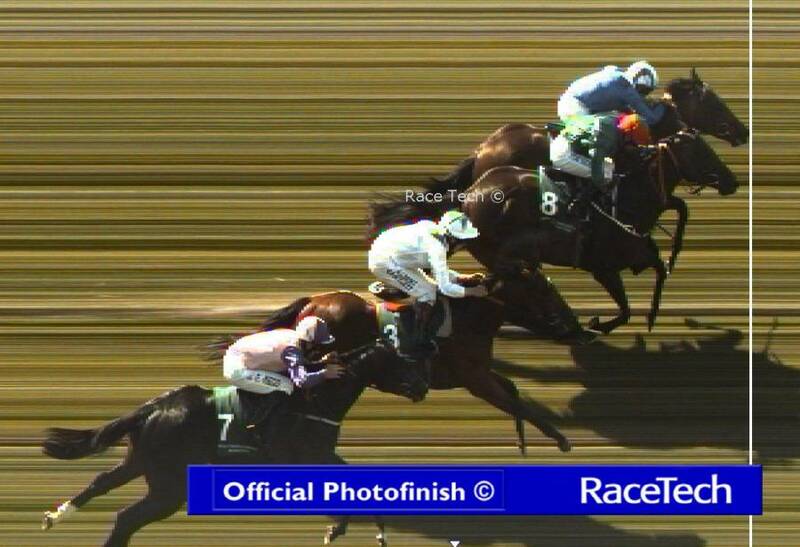 Muharaar ran the 1st Furlong 0.25s slower than JC. He then made small bits in back in each of the other 5fs = 0,03s faster, 0.01s, 0.06s, 0.01s and then 0.16s in the last 1f to beat JC by 0.02s. Hard to imagine jockeys think in Pace terms at the level of whole seconds. The figures for this race show that margins in tenths & hundredths of second can make a difference in a result (along with other factors making a Chaotic 'Riddled Basin' of outcomes depending upon which pairs, threes, etc of factors you chose to make the Phase Space. Which if you thought about too much would mean you never betting on anything). But, also probably another indicator that Sectional Times need interpreting and displaying at a higher level and linked to some 'Power Output' model for the 'Average 75 Horse' etc. Too close to too many confusing nuts & bolts with all the raw figures. Too many Trees and not enough looking at the landscape that makes up the Forest. Accepted won a 6f CURR maiden on debut on June 28th with the placed horses from AOB & Wachman but both taking two more runs to win a maiden. Accepted running a bit free and with a slow pace ended up leading in the centre of of lead trio. Jk able to still be holding him to 2F out and inside with the pace winding and eveything else at least niggled along. able to find some effort when asked towards the final 1f and hold off two Closers who had had to switch out wide to make progress. Looking a Tall on in the field. STO won a 5f Listed at TIPP from AOB maiden Simply A Star (won a maiden since) with maidens in 3rd & 4th (is this how Irish 2yoR 'works' with not enough Maiden races so even 80+ can be long term maidens?). Accepted drawn on the Far Rail at TIPP and field go straight over to race along the Stands' Rail to the line leaving Accepted wide of the Group. Bunch finish and Accepted getting to the front ok and rolling on when challenged as FTO. But, a 'pecocious' looking group behind (i.e. smaller & lacking scope) and Accepted not much bigger. Not showing anything 'Better' or 'Different' to suggest he can go higher.